The 2015 Women’s Junior Olympic Level 9 Eastern and Western Championships begin this Friday, May 8, and wrap up on May 10. 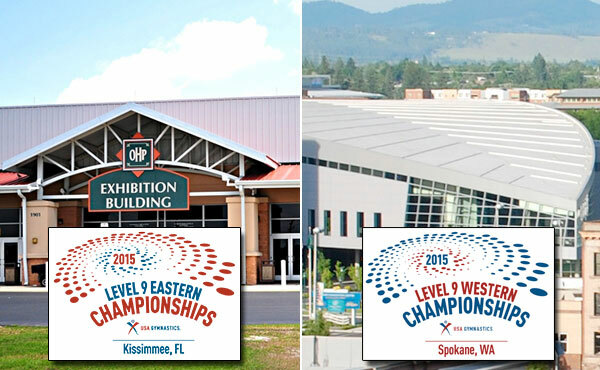 The 2015 Women’s Junior Olympic Level 9 Eastern Championships will be held at the Osceola Heritage Park Exhibition Hall in Kissimmee, Fla., and the Level 9 Western Championships will be staged at the Spokane (Wash.) Convention Center. 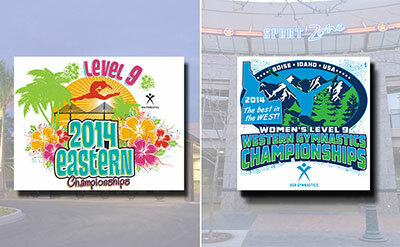 The 2014 Women’s Junior Olympic Level 9 Eastern and Western Championships concluded May 4. 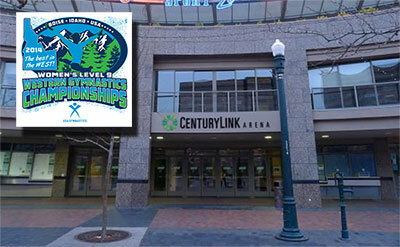 The Level 9 Eastern and Western Championships are the competitive season’s culmination event and feature the best gymnasts in the country for Level 9. 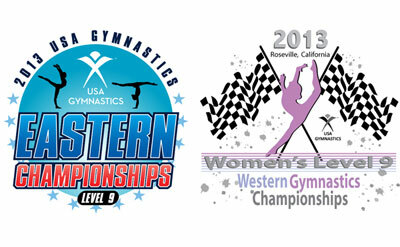 USA Gymnastics has awarded the 2014 Women’s Junior Olympic Level 9 Eastern and Western Championships, which are scheduled for April 30-May 4. 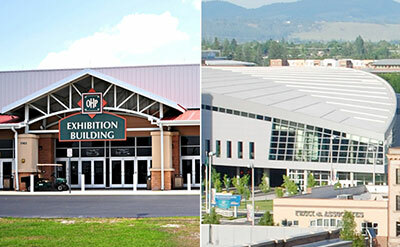 The Level 9 Eastern Championships will be in the Bradenton (Fla.) Area Convention Center, with the Western Championships staged in CenturyLink Arena in Boise, Idaho. At the Eastern Championships, Region 5 won the Super Team Award with 56 points, followed by Region 7 with 46 points and Region 8 with 37 points. In the Western Championships, the Super Team Award went to Region 1 with 32 points, followed by Region 3 with 21 points and Region 4 with 15 points. 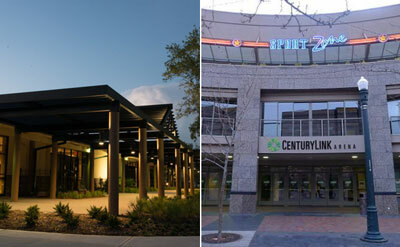 The 2013 Women’s Junior Olympic Level 9 Eastern and Western Championships are scheduled for May 2-5. The Level 9 Eastern Championships will be held in Battle Creek, Mich., at the Kellogg Arena, with the Western Championships staged in Roseville, Calif., at the Speed Factory.